In 1806, Rachel Clement went to Rachel Clement . living at Peoria, Peoria County, Illinois. living at Medina Twp., Peoria County, Illinois. Portrait and biographical album of Peoria County, Illinois, Chicago: Biographical Publishing Co., (1890) , p. 459. Massachusetts Vital Records, 1841-1910, , Vol: 529 ; Page: 339. 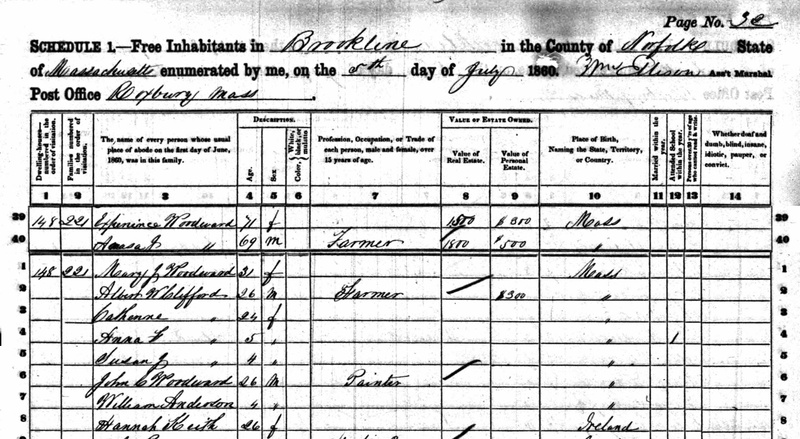 "United States Census, 1870," database with images, FamilySearch (https://familysearch.org/ark:/61903/1:1:MDQH-BKT : 17 October 2014), John R Clifford, Massachusetts, United States; citing p. 343, family 2856, NARA microfilm publication M593 (Washington D.C.: National Archives and Records Administration, n.d.); FHL microfilm 552,149. 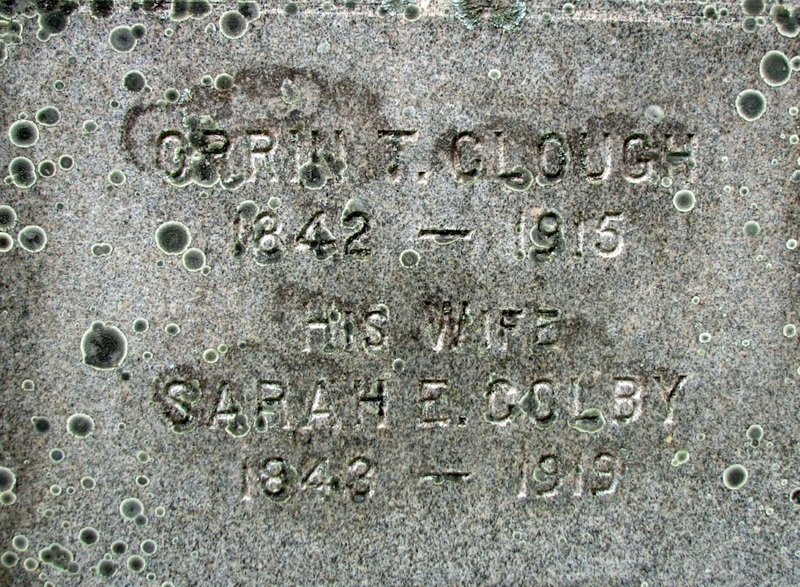 "Massachusetts Deaths, 1841-1915," database with images, FamilySearch (https://familysearch.org/ark:/61903/1:1:N72P-9MN : 10 December 2014), John R. Clifford, 27 Jan 1880; citing Attleborough, Massachusetts, v 319 p 80, State Archives, Boston; FHL microfilm 960,218. Massachusetts Vital Records, 1841-1910, , Vol: 443 ; Page: 100. Massachusetts Vital Records, 1841-1910, , Vol: 63 ; Page: 134. 1900 United States. Census Office. 12th census, 1900 population census schedules, Washington, District of Columbia: Bureau of the Census Micro-Film Laboratory, ([197-]) , Census Place: Boston Ward 19, Suffolk, Massachusetts; Roll: 684; Page: 7A; Enumeration District: 1432; FHL microfilm: 1240684. "New Hampshire, Marriage Records, 1637-1947," index and images, FamilySearch (https://familysearch.org/pal:/MM9.1.1/FLXK-TQX : accessed 30 Nov 2012), John Woodward and Mary G. Young and null, 1881. George Plummer Hadley, History of Goffstown, New Hampshire. 1733-1920, Town of Goffstown, (1924) , p. 91. 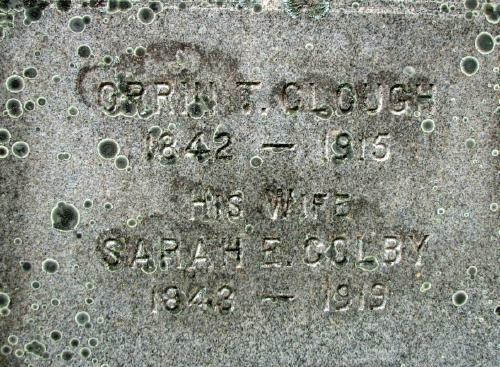 The census of 1900 shows: William C. Clough, 71, a widower, farmer; listed with James A. Clough. Matilda Cochran was born about 1792. 1900 United States. Census Office. 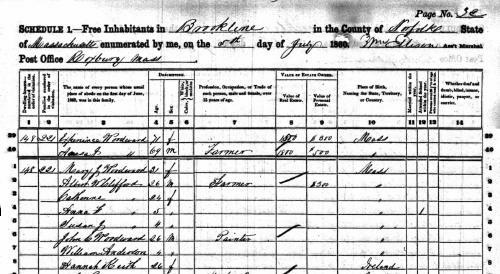 12th census, 1900 population census schedules, Washington, District of Columbia: Bureau of the Census Micro-Film Laboratory, ([197-]) , Census Place: Brockton Ward 7, Plymouth, Massachusetts; Roll: 674; Page: 3A; Enumeration District: 1119; FHL microfilm: 1240674.